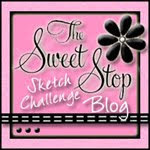 Here's a little 4" x 4" note card I made with a couple of the new JustRite cling sets from Stamper's Dream. The large mitten is from Sparky the Snowman and the sentiment is from Sparky & Friends. The mitten and sentiment are both up on foam tape. I have such a thing for snowman and images of mittens....I love that paper with the awesome stitching! And that image...I just love the shading...I would never have thought to used the W1 and 3 on there..but it looks so effective! They could probably use a card like this in Minnesota this morning after 11 inches of snow! AACK!! 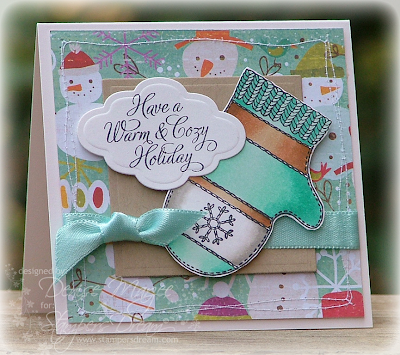 Super cute card, love the stitching and how you colored the mitten! Totally adorable Denise, a very sweet Christmas card! Oh, I love this. Like all of your work it is wonderful. Love that bg paper. Fabulous card, Denise. You really rock that aqua color! Great coloring on your mitten! Oh my gosh! This is so cute! Love that mitten!!! FANTASTIC colours too! LOVE this Denise! The layout and colors are SO pretty and I ADORE that mitten!!! Sooooo cute, Denise! 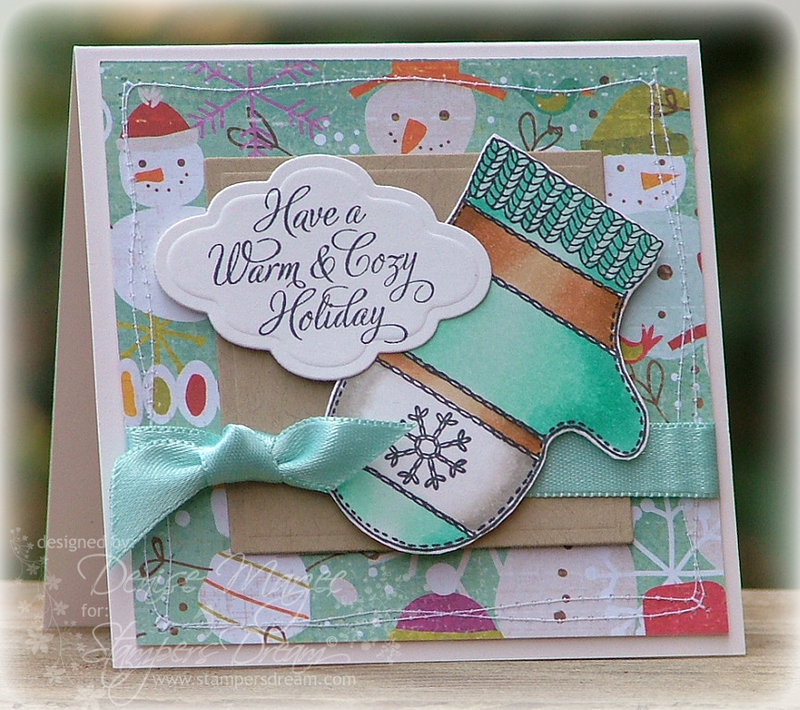 LOVE the mitten and sentiment with that Crate Paper Snow Day bg paper. Your stitching is the perfect touch! That paper is SOOOOO cute, and I just ordered some mitten dies, can't wait to play with them! This is such a cute winter card Denise!! I made a 4 1/4 sq card the other day and thought about you since I had never made one until you sent me that card!LOL! So sweet and cute ... love your colors and stitches. Hope you're staying warm up there! How adorably cute and fun loving your card is. Love the colors and the PP. So SWEET!!! Again, I love the colors!! This is so cute! I love that mitten and the snowman dp is a perfect backdrop! Wonderful card! This is just toooo cute, Denise!!!! Gotta love that adorable mitten and what fun paper in the background!!! !